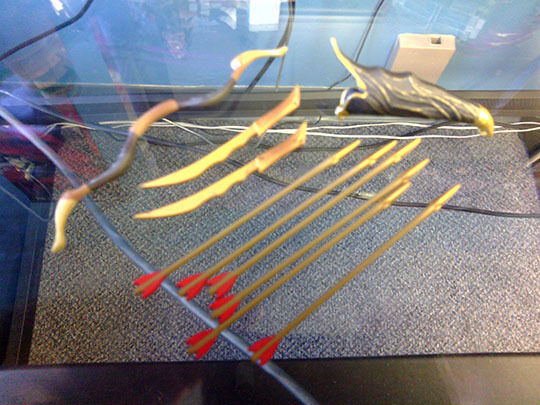 Wandering into my local Toysrus on my lunch break I found the newly released Hobbit movie action figures. 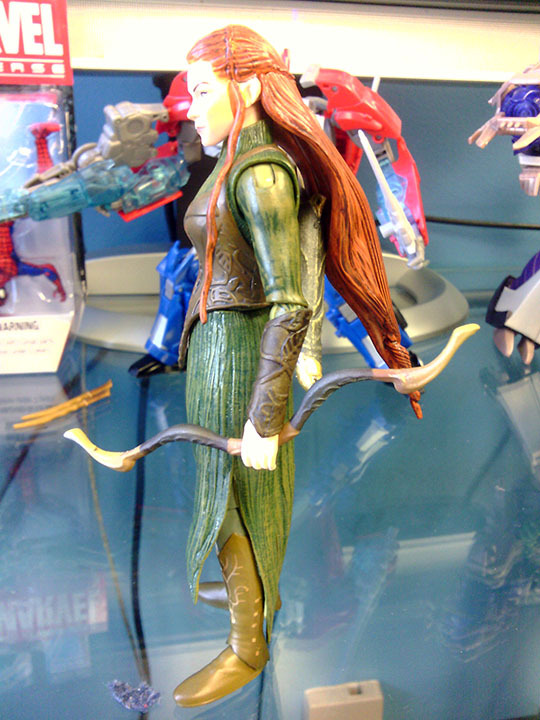 There were a variety of 3.75″ as well as 5.5″ figures. Most of figures were not available, most likely because other collectors got there before me. 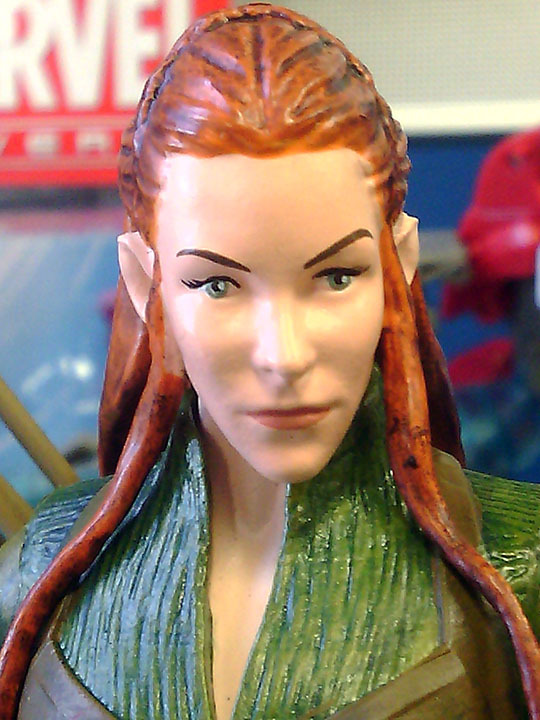 I did happen to stumble on this lady Elf warrior named Tauriel. 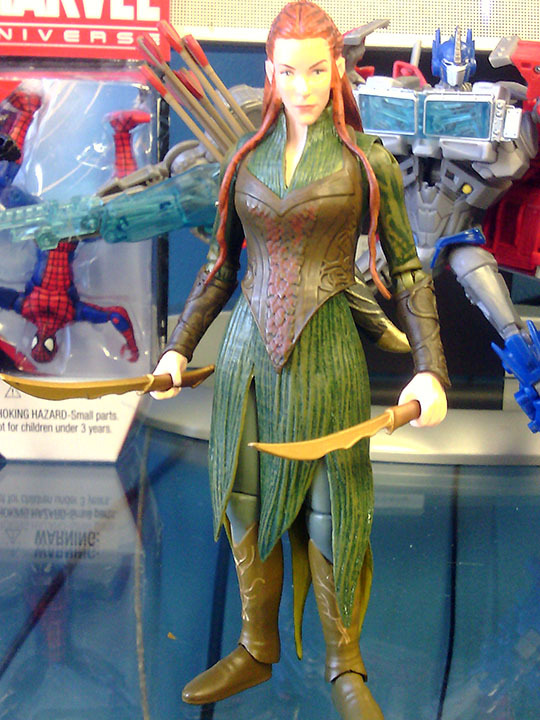 At first glance the articulation looked limited, reminded me of DC Direct figures. 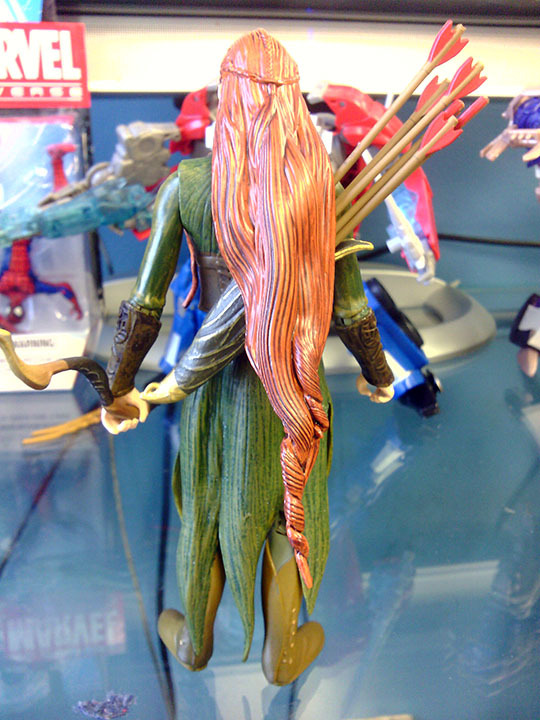 I really didn’t want to pick any of these figures up, mainly because the Toy Biz LOTR figures still in my opinion are much more superior. 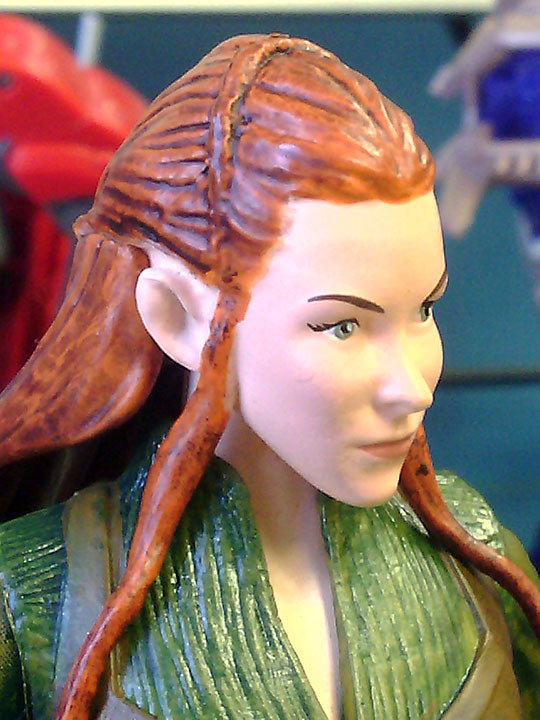 So I picked Tauriel up which sold for $14.99 (ouch). 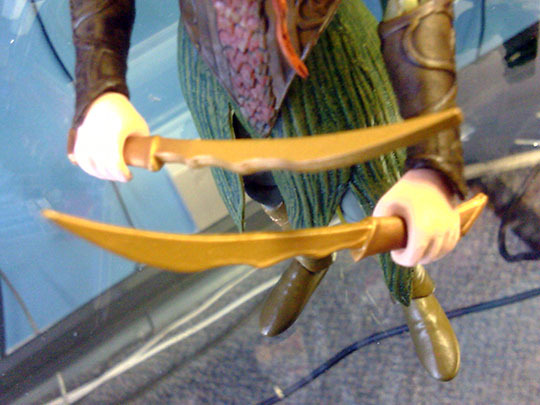 I popped her open and to my surprise there are ball hinge joints at the shoulders, elbows, hips, and knees. You may think this is all well and good but for the legs it hardly makes a difference because of the long stiff skirt she wears. You can’t widen her stance for dynamic leg poses. 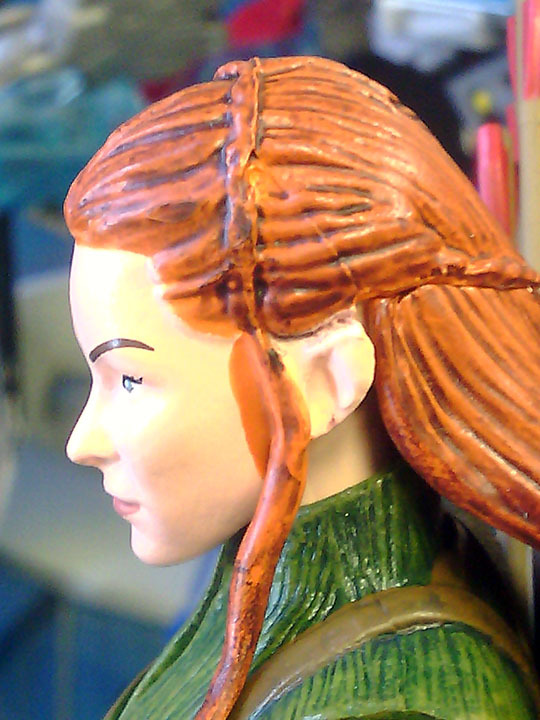 The head is ball jointed and the waist and wrists can rotate 360. 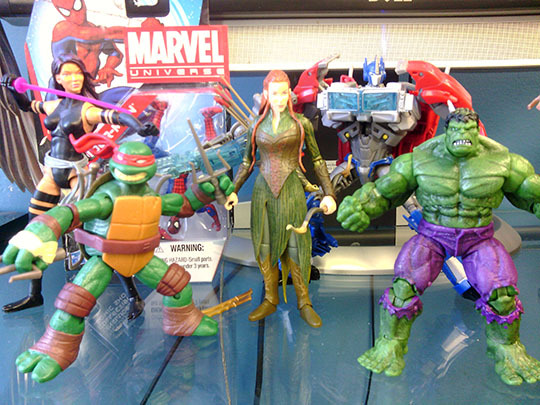 I imagine the other figures in the line have the same articulation which makes we hesitant in buying more figures. 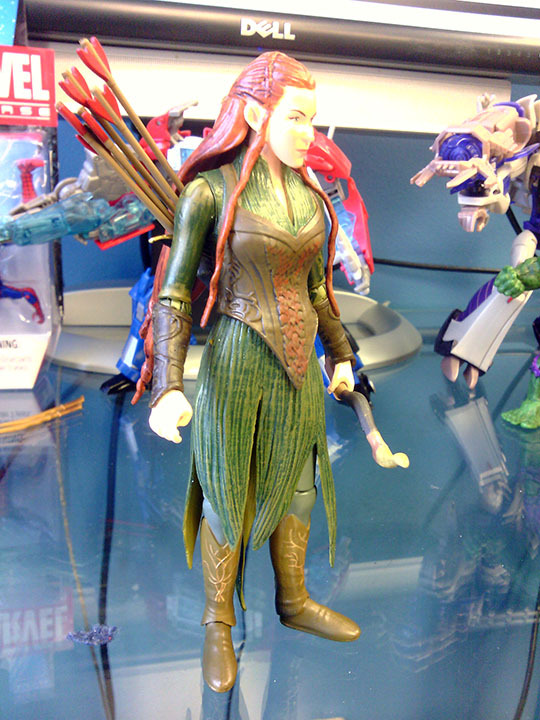 She comes with 2 blades, a stringless bow, arrows, and a storage pack for the arrows. I would steer clear of these figures. They’re pricey, small, and articulation is kind of disappointing for long skirt characters which is most of the figures in the line.